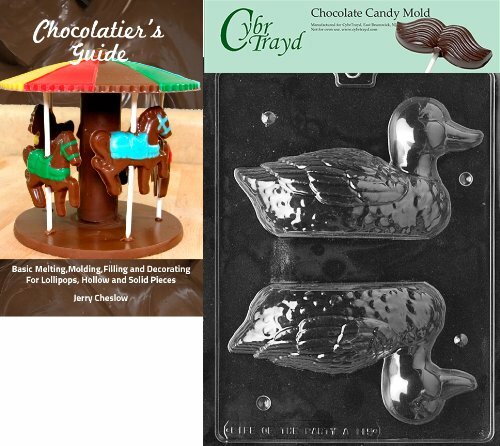 This mold and chocolatier's guide Bundle comes packed in a sealed, protective, clean poly bag imprinted with Copyrighted CybrTrayd Molding instructions. It is a first quality, tough plastic mold made by one of the leading manufacturers of candy and soap molds in the United States. It is durable and reusable. Made of Clear PETG plastic. Not for use with hard candy. Cannot be washed in dishwasher. Fda approved for use with food preparation. Not suitable for children under 3. Suitable for Molding chocolate, butter, soap and plaster. Search the CybrTrayd store for all of your chocolate and candy Molding needs.